Hostel Seven gives unique opportunity to experience a genuine Budapest way of life. Our location at 'Oktogon' shows the most vibrating image of the city. Dizzying 'Grand Boulevard' and world heritage 'Andrassy Avenue' meets here therefore 'Oktogon' became the most popular meeting point in town, where you can start either your day or night. 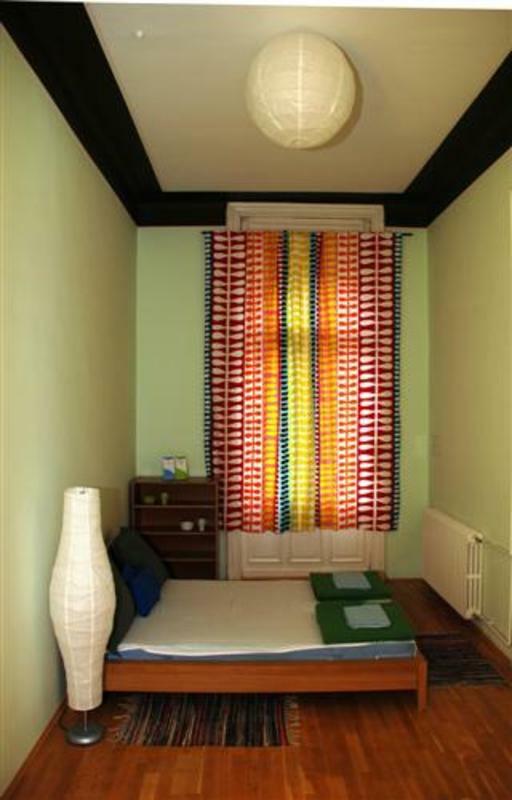 Our hostel is conveniently located near many public transport lines, 24 hours super markets, cheap fast food restaurants and only a block from 'Liszt Ferenc Square' featuring many outdoor restaurant, cafes and bars. With fifteen minutes walk you can reach all(!) major historical sights which guarantees you won't miss anything. We are close to the bustling old Jewish disctrict with many underground bar, hidden pubs and some uniquely set up club. Hostel is surrounded by many landmarks, including the world heritage 'Andrasy' Avenue featuring 'House of Terror', 'Hero's Square' , 'National Opera' and all major museum such as 'Fine Art's and 'National Arts Hall'. 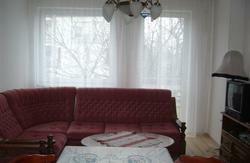 Hostel Seven is a newly renovated hostel in a old historical building with picturesque exoticism. Includes two fully equipped spacious private rooms (with cable TV, PC with free internet) and a charming 6 bedded female dormitory. Among many amenities are a self-serve breakfast starter (tea, coffee and milk), a full kitchen, free bed linnen, cable TV, Internet with computer, always online friendly multi-lingual staff and free WiFi gives our guest comfortable stay. 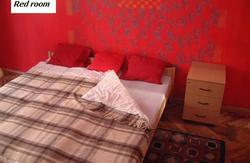 PLEASE NOTE THAT 24 HOURS RECEPTION DESK (CHECK IN/OUT) IS PROVIDED BY 'UNITY HOSTEL' AT 'KIRALY UTCA' STREET 60. ONLY A BLOCK FROM 'HOSTEL SEVEN' (TWO MINUTES WALK). PAYMENT IS DUE FULL UPON ARRIVAL ONLY IN CASH (EUR OR HUF). VALID PHOTO ID REQUIRED TO CHECK IN (POLICY ALSO VALID FOR EU CITIZENS, NO EXCEPTIONS). 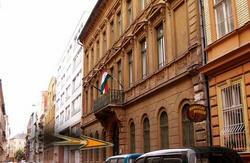 PLEASE NOTE THAT 24 HOURS RECEPTION DESK IS PROVIDED BY 'UNITY HOSTEL' AT 'KIRALY UTCA' STREET 60. ONLY A BLOCK FROM 'HOSTEL SEVEN' (TWO MINUTES WALK). Take the underground Metro one stop till 'Blaha Lujza ter', change to tram number 4 or 6 (every 4 minutes) towards 'Moszkva ter'. Travel two stops until 'Király utca'. Get off and pass 'Pizza Hut' on the corner, we are in building number 60 on the right side (opposite Pizza Hut) of 'Kiraly utca'. 3rd floor of the building. Take tram number 4 or 6 (every 4 minutes) from in front of the station towards 'Fehervari ut' / 'Moricz Zsigmond'. Travel two stops until 'Király utca'. Get off and pass 'Pizza Hut' on the corner, we are in building number 60 on the right side (opposite Pizza Hut) of 'Kiraly utca'. 3rd floor of the building. 'Kôbánya-Kispest' metro station, from there take the underground metro until the main station 'Deák tér'. Coming up from underground go towards 'Karoly krt' and walk onto 'Király utca', we are on your left only 10 minutes walk, directly before 'Liszt Ferenc tér'. 3rd floor of the building. Take the underground Metro until 'Deák tér'. Coming up from underground go towards 'Karoly krt' and walk onto 'Király utca', we are on your left only 10 minutes walk, directly before 'Liszt Ferenc tér'. 3rd floor of the building. Take tram number 4 or 6 (every 4 minutes) from in front of the station towards 'Fehervari ut' / 'Moricz Zsigmond'. Travel two stops until 'Király utca'. Get off and pass 'Pizza Hut' on the corner, we are in building number 60 on the right side (opposite Pizza Hut) of 'Kiraly utca'. 'Kôbánya-Kispest' metro station, from there take the underground metro until the main station 'Deák tér'. Coming up from underground go towards 'Karoly krt' and walk onto 'Király utca', we are on your left only 10 minutes walk, directly before 'Liszt Ferenc tér'. Take the underground Metro until 'Deák tér'. Coming up from underground go towards 'Karoly krt' and walk onto 'Király utca', we are on your left only 10 minutes walk, directly before 'Liszt Ferenc tér'.